According to a recent article in The Atlantic, the Southern Poverty Law Center’s database on hate groups has painted a detailed picture of where they flourish and what conditions correlate with their presence. 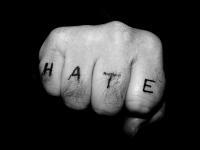 Put simply: Hate groups flourish where people have low levels of education, low income, low prevalence of workers in “creative” occupations. They also tend to flourish were there is little diversity—where people have less of an opportunity to interact personally with diverse groups of people. To Florida, these are demographic issues, but they are also systemic issues. The economic plight that many of these areas, like the the rural south and the western plains, find themselves in is not an accident. It is the result of economic and capital policies that have allowed large swaths of America to suffer the consequences when businesses can relocate without regard to the needs of the community and the government offers a meager social net. One can argue whether these policies are economically sound, but one can not deny that it leaves the “losers” of our economic systems vulnerable to the kind of conditions that correlate with hatred and intolerance. Likewise, it’s no accident that so many Americans in the lower socio-economic strata find it difficult to get a college degree—it’s a feature of the education system we’ve inadvertently chosen to support. The consequences of implicitly denying education to those who can’t afford it can be severe. In his findings on the culture of hate groups, Raphael Ezekiel, author of The Racist Mind, suggested that ideology is not what a diverse series of hate groups have in common: “Christian identity” supporters have only so much in common with Neo-Nazis who have only a little in common with the Ku Klux Klan, which itself has significant regional variation. Instead, Ezekiel suggests that these groups share an inability to filter bad information out. Some “races” are not superior to others—science has shown that even the concept of “race” is suspect. Cultures are not at “war”—that’s an oversimplification of complex global situations. History can not be broken down into a race war—that’s willful ignorance. What links hate groups, Ezekiel found, was a membership whose internal filters fail to catch such empirically discredited ideas. Higher education isn’t a guarantee that one won’t fall prey to bad ideas, but it really helps. The results can be seen in Florida’s statistics: poor education levels correlate with the prevalence of hate groups. The lack of access to education—a systemic issue—counts. Again, we can argue the points of educational policy on the merits, but we can not argue that a system that implicitly denies a large portion of the population access to education has consequences. Hate, apparently, is one of them. And when we discuss policies and cost-benefit analysis, the sociological consequences of systems need to be taken into account.